Happy Birthday to me! 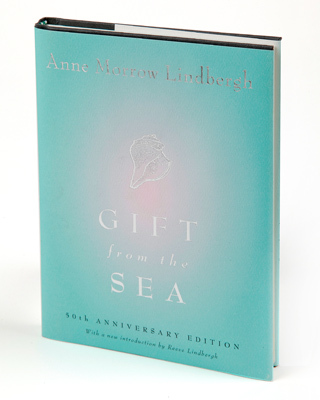 As I sit here alone this rainy day, I turn to something I’ve turned to for many, many years: Anne Morrow Lindbergh’s “Gift from the Sea.” Probably my favorite book of all time, “Gift from the Sea” was a gift from a former boss in 1988 whose inscription on it reads, “To Carla on her birthday. Inspiration for a lovely lady with a lot of success ahead.” Under the inscription are color-coded years I have subsequently read it. I wish I knew where Lori was today so I could tell her just how inspiring her gift turned out to be. 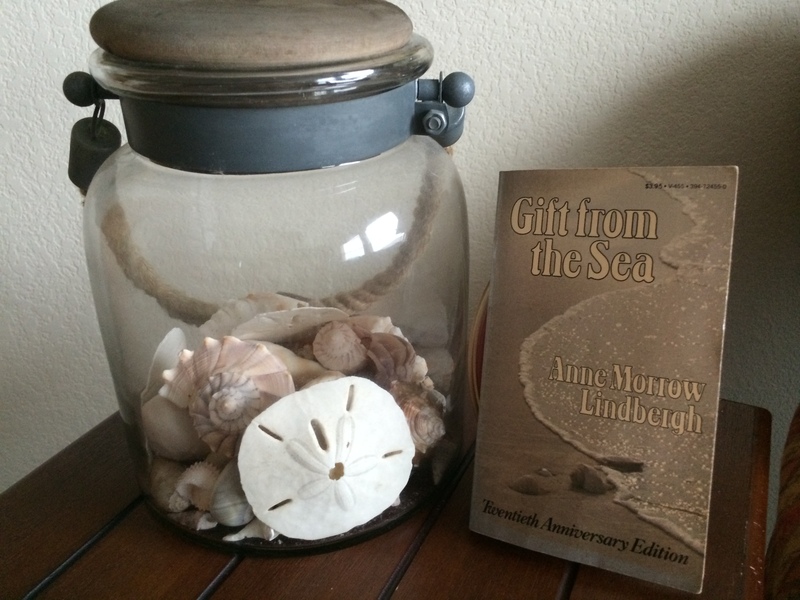 Written by the wife of Charles Lindbergh, “Gift from the Sea” is the author’s own words on life as she refuels and recharges at her beach home. She uses the shells she finds as examples of life’s little changes and struggles. Sounds corny, but it’s anything but. Morrow Lindbergh was an amazing and complicated woman whose life was filled with yes, fame, but many challenges and hurts as well. “Gift from the Sea” has always been one of my favorite things to give as a present to friends. I gave it to my co-worker and dear friend Karen this month and I of course gave it to Kristen for graduation in hopes that she will read it now, as she embarks on her new and exciting life, and revisit it in years to come. 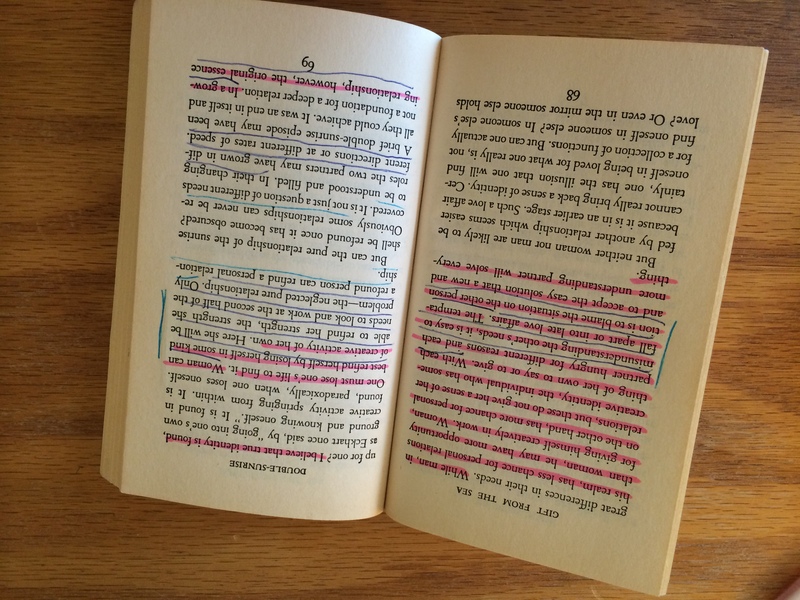 The book was also my Book Club’s choice this month (along with “The Aviator’s Wife,” which I also highly recommend…it’s a novel about Anne Morrow Lindbergh’s life) and as we discussed it and I said I had given it to Kristen, fellow member Jan was adamant that in due time, I give her my old, highlighted, and tattered paperback version. I’d never thought of that but was so moved by the idea. I read the book when I first got it back in 1988 and have done so again in 1997 and 2007-2009. I opened it once again today, on my birthday, in 2015. It’s one of those books that will mean something different to you each time you read it. 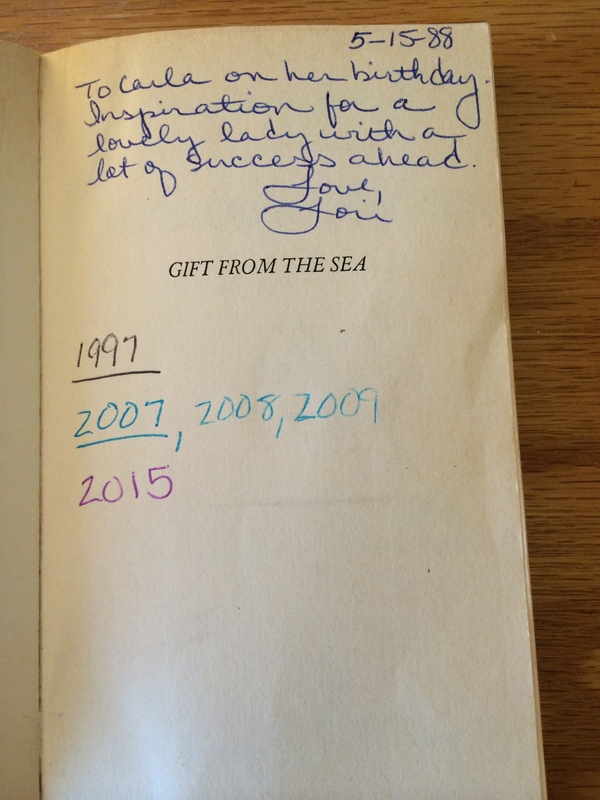 Your life changes and the pages inside of “Gift from the Sea” change with it. That first time I read it I was newly married, “retired” from my TV career, and starting my new PR life. I loved my new job and was loving life. “Gift from the Sea” spoke to me in that the world was my oyster and its shell was open to all possibilities. Turn to 1997 as I read it again as a new mom. Kristen was a mere three-years-old and suddenly that ocean felt a bit intimidating so I chose to close that oyster shell ever so slightly and take care of my little girl. It was such a wonderful life. Her preschool years brought friends into my life that I’m still close with today and although I didn’t fulfill many professional dreams, I wouldn’t do anything differently. As a former neighbor told me at the time, “You will never regret choosing to raise your daughter yourself.” How right she was. The next time I read the book, 2007-2009, a lot was going on in my life. We’d moved to Cedar Park; Kristen was in high school, was driving, and celebrated her “Sweet 16;” and our family was travelling to great places like Cabo and Cayman. Ironically my annual college girls’ trips included the one that really solidified our group, The Cloister in Sea Island Georgia, and Nashville. How ironic that a destination on the sea was so significant for us and that today Kristen is applying for jobs in Nashville. Life was good. But it wasn’t perfect. What life is, right? And just like that I find myself in 2015. Kristen just graduated from college, I’m working not in the media or PR field but in a preschool, and am officially 55. Life is still good though, albeit far from perfect. I look forward to reading the chapters on accepting, adapting, finding oneself, and enjoying alone time. My nest may be empty but I refuse to allow my life to feel empty. As I read the first chapter of “Gift from the Sea” this morning, I dove in to her take on the channeled whelk, which she uses as a representation to find inner peace and simplify your life. Amen sista! She wonders why the snail-like creature that once called the shell her home walked away from it. She notes that simplifying means asking how little, not how much, one can get by with. She writes about how her life has been determined by her background and her childhood, which I too have been doing as I’ve spent time with multiple family members at both my nephew’s wedding and my daughter’s graduation. Morrow Lindbergh longs to remain whole, balanced, and strong. So do I. She concludes that the most exhausting thing in life is being insincere; wearing a mask socially. As we age, don’t we all discover this very thing and shed our masks? I particularly loved her ceiling cobwebs metaphor in that “they soften the hard lines of the rafters as grey hairs soften the lines on a middle-age face.” Back in 1997 that line meant nothing to me. Today, it means the world. All of this enveloped my every hope and dream as I read the book with raindrops falling outside and hearing the beeps on my phone from birthday well-wisher. Perhaps the line I loved most was “one should lie empty, open and choiceless as a beach – waiting for a gift from the sea.” On this birthday in 2015, I’ve come to realize what true gifts are. Hey! You need to answer those beeps on your phone! Just sayin’ . . . . tried to call . . . Happy Birthday.